True Brand® Diesel Purge 2-Step Kit increases horsepower, torque, and cetane levels while providing superior fuel system cleaning. It is formulated to remove gums, varnish, and carbon deposits, clean fuel injectors, and combustion chambers, reduce emissions, diesel knock, and exhaust smoke while adding lubrication, oxidation, and corrosion protection for diesel fuel-system components. Safe for ALL diesel engines. True Diesel MAX is designed to increase horsepower, torque, and cetane levels while providing superior injector cleaning. Its advanced lubricants help protect against wear and extend engine life. True Diesel MAX also helps reduce exhaust smoke, diesel knock and helps fight against cold weather gel formation. 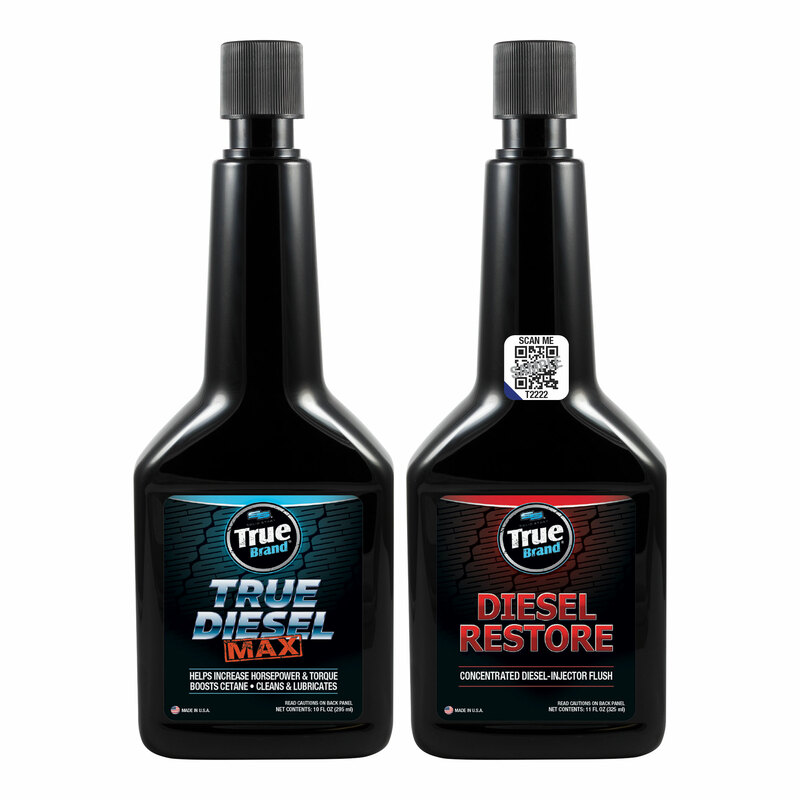 True Brand Diesel Restore is uniquely formulated to remove deposits, rapidly clean diesel-fuel injectors, and combustion chambers, help improve fuel flow and spray patterns and help reduce emissions, diesel knock, and exhaust smoke.